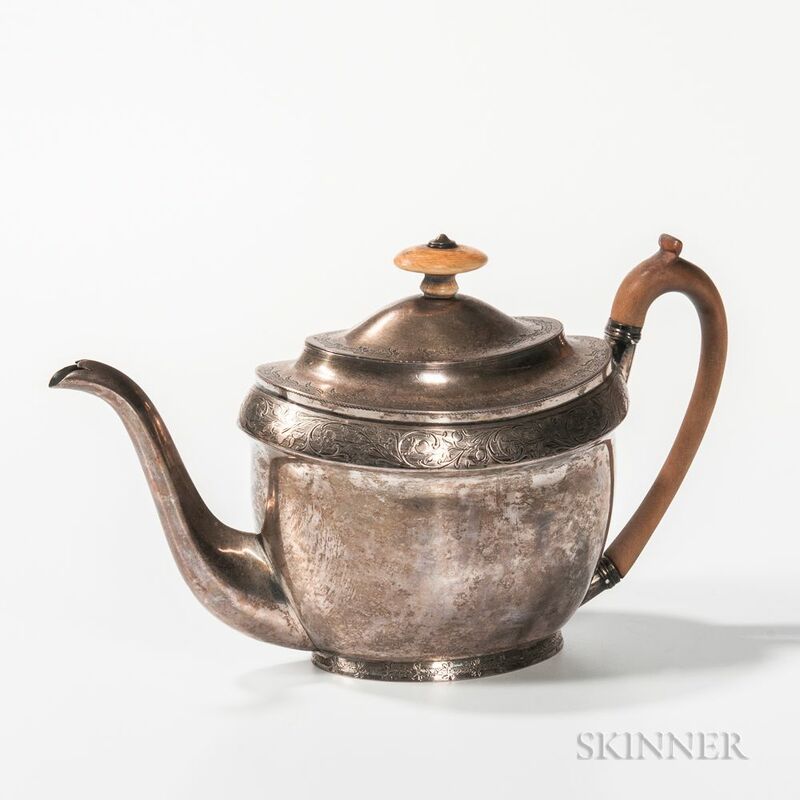 George III Sterling Silver Teapot, London, 1801-02, Henry Nutting or Hannah Northcote, maker, with engraved fruit amongst foliate scrolls to shoulder, ht. 6 3/4 in., approx. 18.0 troy oz.